Did you know that we have a true celebrity buried here, in my hometown? Yup, that there lady you see in the picture? The star of Disney’s Pocahontas? She was no fictitious character but she was a native American girl, caught up in the Anglo-Native American hostilities in the early 1600’s. While captive, she converted to Christianity and became known as Rebecca, and when the chance came to go back home, she decided to stay with the English. 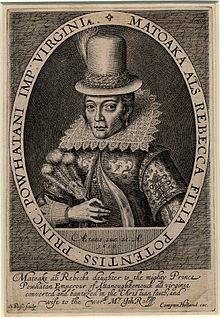 She married John Rolfe, who was a tobacco planter, and they moved to England. When she came over here, she was almost promoted as a ‘Civilised Savage’, by those hoping to get some more investment for their hometown, the Jamestown settlement. She became quite a celebrity, and was even invited to Whitehall Palace for a function! It appears that they were aboard a ship, bound for Virginia, when she fell ill, and they docked in Gravesend, Kent, where she died, of unknown causes. She was buried here under the local church’s chancel in 1617. We don’t know the exact whereabouts of her grave, as the original church burned down in 1727. 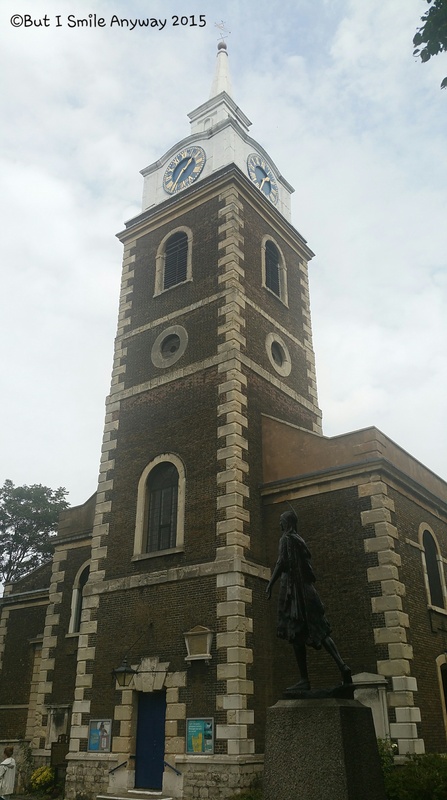 Since then a new church was build in the same spot, St George’s church, and there is a bronze statue to commemorate her life. I was unable to go inside the church, as it was closed, but there is an amazing quilted tapestry inside, which shows the story of her life! And what of John Smith?? You know, the blondie in the Disney film? Well, yes he was real. And there was a connection between him and Pocahontas. But it appears that the romantic relation that has been conjured up in the Disney film, and others made in the past, was a fantasy of the writers! Firstly, there was no relationship, bar friendship. She would come to visit their Jamestown settlement regularly, and brought provisions and helped them, and secondly, if you look at the dates, it would be unlikely that she would have been old enough for any kind of affair with him! I love that story! A town hear us was the homeplace of the Bronte sisters for a year as their father was reverend in Ireland for a bit. I love it! And to think… we have a connection here! It’s one of my home town’s only claim to fame lol!!! 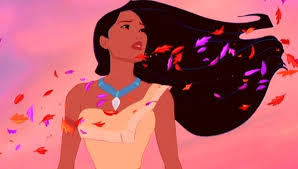 I wish i knew more of what brought Pocahontas to want to be “civilized.” Unfortunately, I wonder if her “conversion” was the very thing everyone looked to and said, “see, even she knew we have a better way.” Not that I blame Pocahontas, she could have just been in love and all that. But it does make me curious. You are right Angela! Food for though! So interesting, Ritu!! Thanks for sharing your link to this!! Who would have thought they were real? This is great! Love the history. It’s a fantastic little true story! 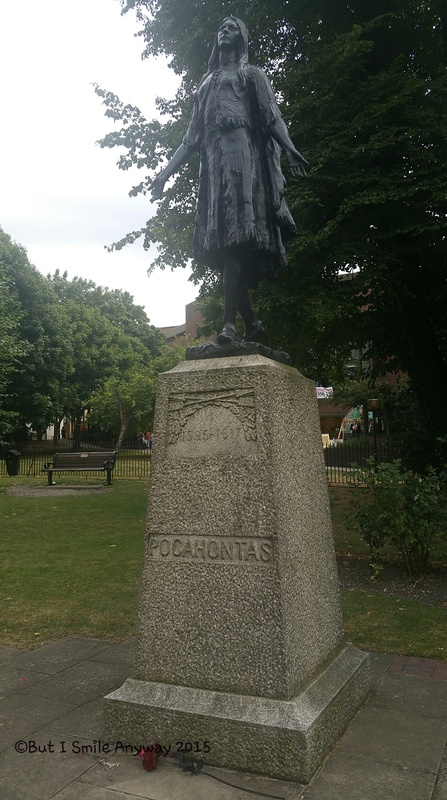 That is a lovely post Ritu, I enjoyed learning a little more about ‘Pocohantas’. A very good and interesting post! I was surprised too, when we married and I moved to hubby’s home town!!! It’s so interesting! Crazy! And all that got shared about it in the comments!!! I know!!! Its a learned community here! Fantastic history lesson! I was unaware of most of the facts you posted. This history is amazing. Isn’t it! OH yes! I was thinking of the talk about teen age pregnancy. How they were too young for that. Come to find out, back then girls at 15 years of age often get married and bore children! In March of 1617, the Rolfes boarded a ship to return to Virginia. 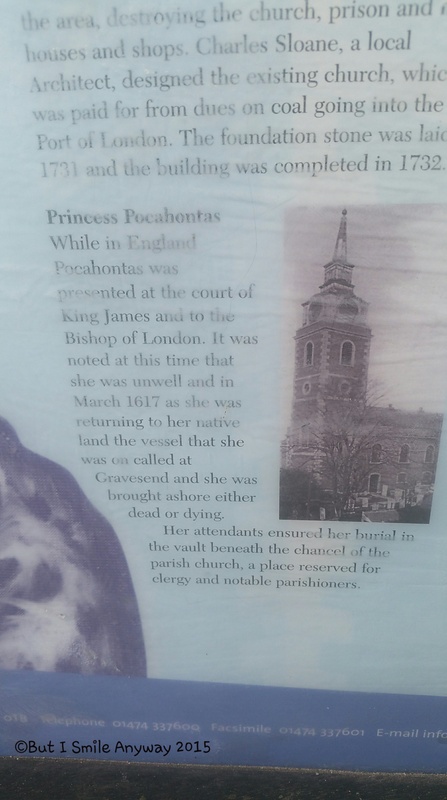 The ship had only gone as far as Gravesend when Pocahontas fell ill. She was taken ashore, where she died, possibly of pneumonia or tuberculosis. Her funeral took place on March 21, 1617, in the parish of St. George’s. Right here! 2 minutes from me!! About the lost colony of Roanoke? This is all such interesting stuff!!! Fantastic! Take a look at what had been going on at Jamestown settlement. OH yeah! I am happy to know that she was already dead before they ate her. Definitely! To have done that when someone was alive…. Oh no!!!! I believe that Smith was shot and returned to England for treatment. Pocahontas was told he was dead. 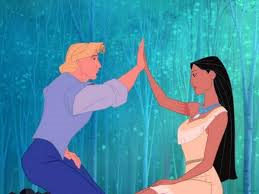 She later found that not to be true when she traveled to England as the wife of John Rolfe. Just an amazing story and one that should be retold over and over. Thanks for posting this, Ritu! It makes them seam real, doesn’t it? Have you ever read of the lost colony of Roanoke? It’s still unsolved to this day. Ooh! No, I haven’t heard of that, wow! That’s interesting! Wonder what happened to them??!! For some reason I feel a deep connection to the Native American’s spirit. 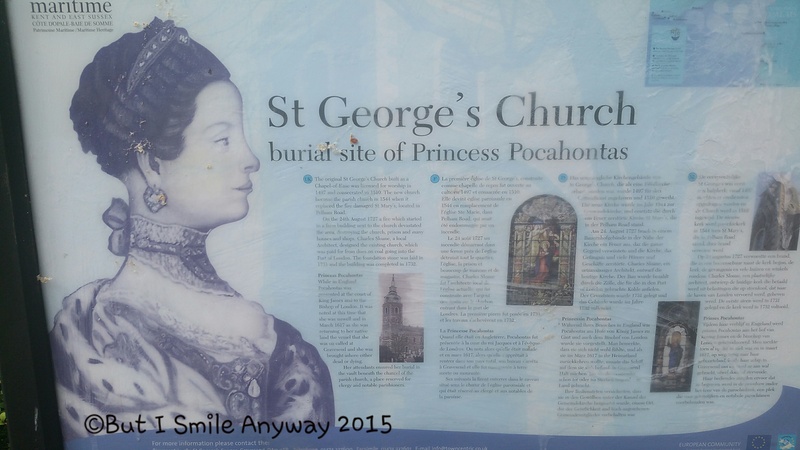 Ritu just posted a story about Pocahontas who was buried close to where Ritu lives. PS: you look much younger for 40 years! For some reason I couldn’t comment on your post about your birthday.